Moisture Absorber Bags that can be recharged. MOISTURE ABSORBER BAGS THAT RECHARGE. Moisture Absorber Bags that are unique. What makes our Pingi Moisture Absorber Bags so special? The Moisture Absorber Bags are filled with silica gel pellets. These pellets will absorb humid air. The silica gel pellets are able to absorb up to 40% of its weight in vapour. The Moisture Absorbers Bags have a blue damp indicator that gradually changes light pink. You can of course weigh the Moisture Absorber Bag if you want to be 100% sure that the saturation point has been reached. The PINGI Bag 250 gram sachet will weigh 350 grams before recharging is required. The microwave oven will dry the Moisture Absorber Bag within a few minutes. You are then ready to use it again. The silica gel holds the moisture in suspension. Unlike other popular Moisture Absorbers, our Moisture Absorbing Sachets will never leak. They do not require refilling. Wikipedia supplies extensive additional information on the properties of silica gel. For more technical data visit PINGI FAQ. Comes in 3 handy sizes. Get your PINGI Moisture Absorber Bags at our shop today! Where can you place the Moisture Absorber Bags? In your house cupboards, wardrobes, bathrooms, chest of drawers or any other confined space. PINGI Moisture Absorber are very effective around musty confined areas. 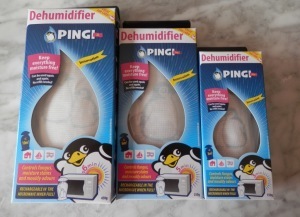 You can recharge the PINGI in a microwave oven or in the sun. Our products produce no dangerous waste water. Products can be placed anywhere. No leakage is possible. Unlike conventional dehumidification, our products require no electricity to work. 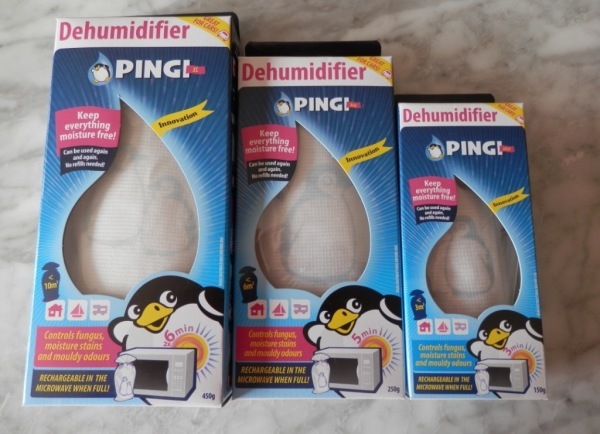 Go to our shop and order your PINGI now! Our moisture absorber bags are unique and innovative. They are great products to dry enclosed or confined areas.